It’s a fact of life these days that games are constantly updated, in an ongoing quest by the developer to fix bugs and add new features to the game. Such has been the case with IO Interactive’s Hitman game, which was released episodically last year and for which a physical edition came out this January. 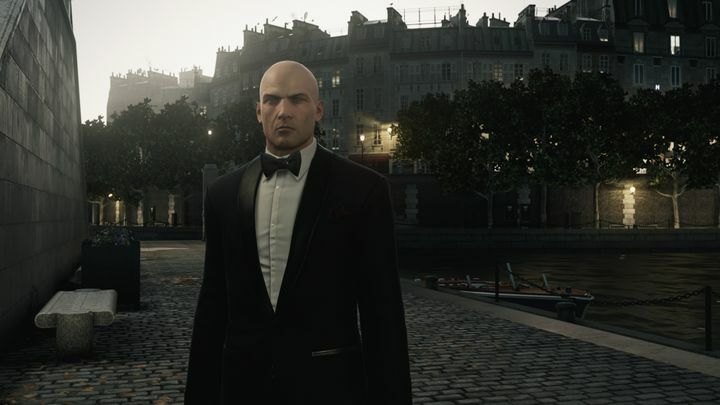 And Danish outfit IO Interactive recently put out a new patch for Hitman, named the March Update, which fixes bugs in the game and also features several gameplay improvements that Hitman players will surely appreciate. One of the bugs fixed involved protagonist Agent 47 falling “out of the world” in the game’s Hokkaido map (good for comedy value perhaps, but annoying when you’re in the middle of a mission) and also an issue that would lead guards and targets in the Paris mission to give up their routines under certain circumstances (laziness never pays off apparently). This patch also includes performance enhancements and fixes some graphical glitches, while there’s now support for Chinese language in the game as well. The team at IO also posted Hitman’s content schedule for March, which you can see in the image below. 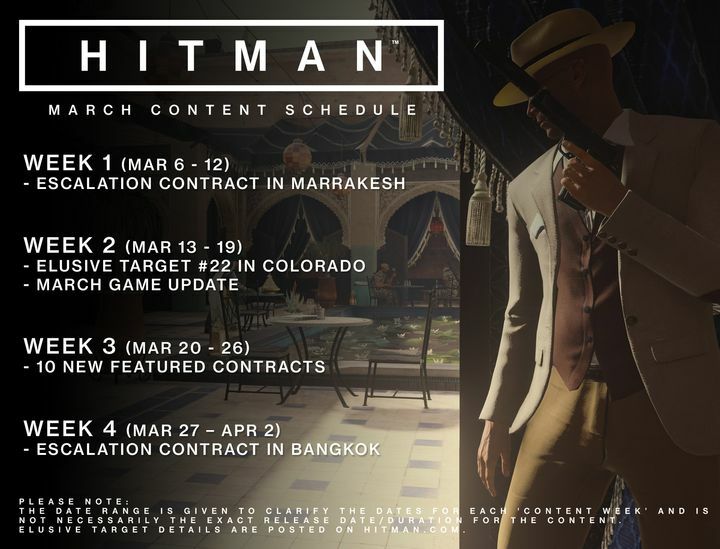 Aside from this update (and Elusive Target 22 which is now live in Colorado) the game will also be getting another Escalation Contract taking place in Bangkok (the setting of episode 4) to add to the one released during the first week of March, which took place in Marrakesh. The Escalation Contracts are structured missions in which players have to assassinate one target initially. These have multiple levels though, and complications are added in successive levels such as having to retrieve a certain item to complete the mission or having to put down additional targets. They are a fun side diversion from the main missions, so it’s nice to see developer IO adding more of these to the game. So will be good news for those still playing and enjoying Hitman, then, as this is a game that just keeps getting better, while IO is yet to announce the next Hitman season which will supposedly debut this year, a new season which according to the game’s lead writer will feature a more interesting plot than last year’s. Next: Can the latest update save No Man’s Sky? Can the latest update save No Man’s Sky?